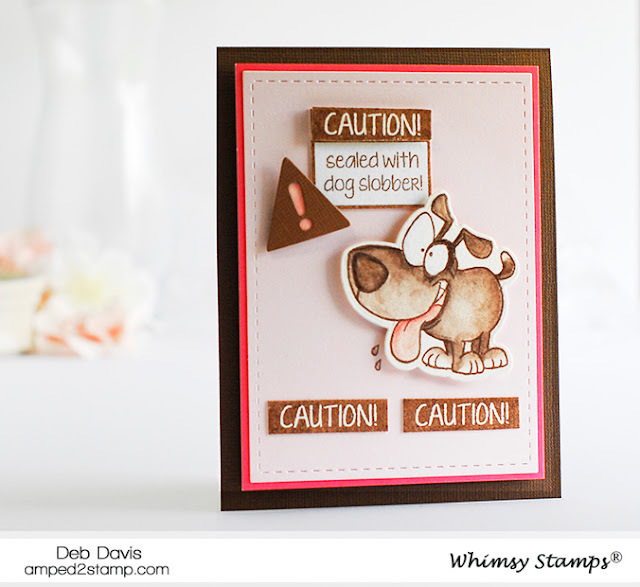 This little guy from the Caution Dog Slobber clear stamp set is just so happy, his silly expression makes me smile! 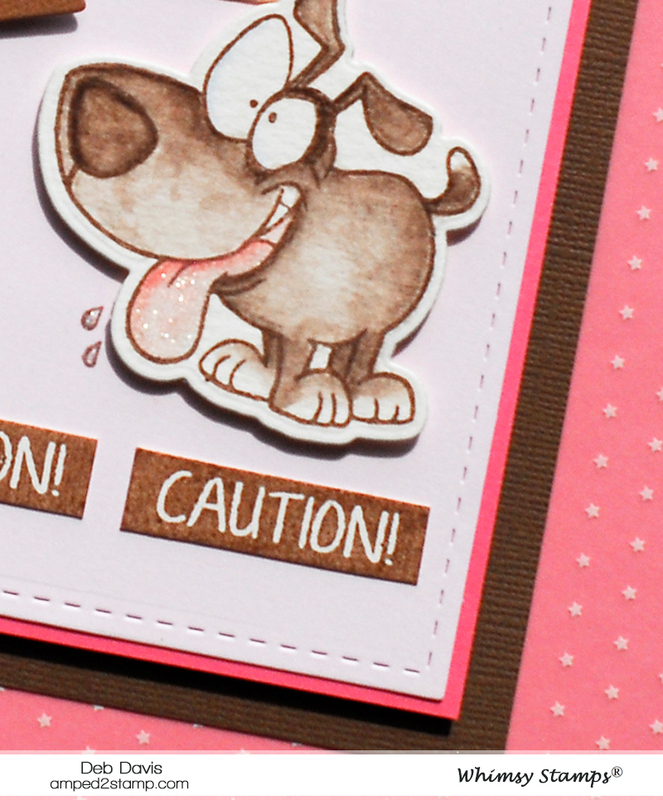 You can see another card I made using this set HERE. 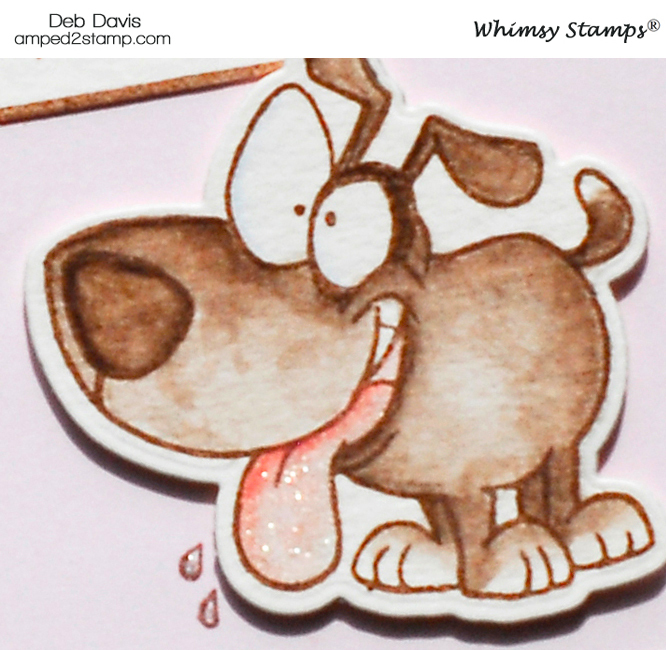 I stamped him with Versafine Vintage Sepia ink on Canson cold pressed watercolor paper and used Faber Castell watercolor pencils to color him. 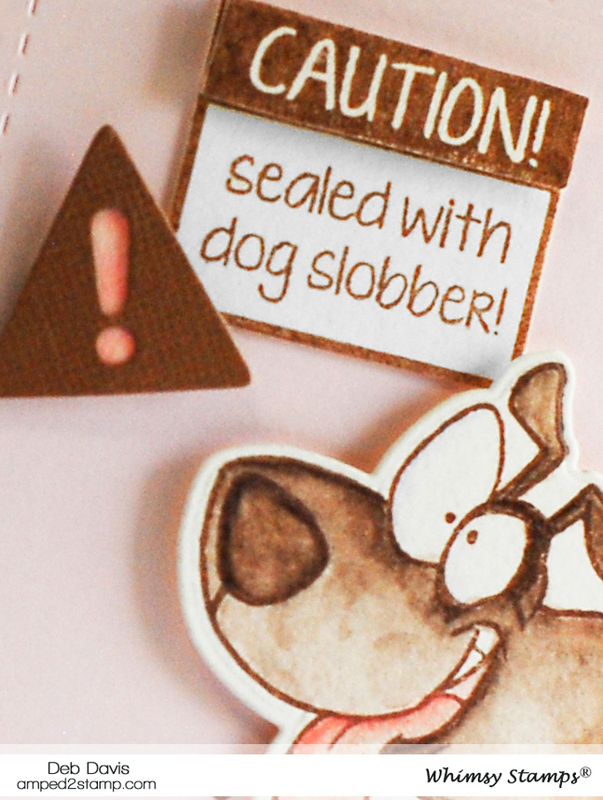 Then die-cut him out with the matching Caution Dog Slobber die set. 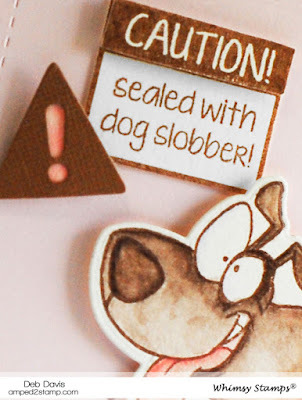 I stamped the sign and sentiment with the same ink and actually just cut that out by hand but there is a matching die included in the die set for that too. The dog and triangle are popped up on foam tape for dimension too. And to finish I glued onto a dark pink matte and then to a dark brown card base. I hope you are enjoying National Puppy Day with your furbabies? !